People often say that reading is fundamental and they are right. You cannot do anything with your life without the ability to read. Understanding the importance of reading is easy but I believe that we sometimes overlook the importance of good writers. 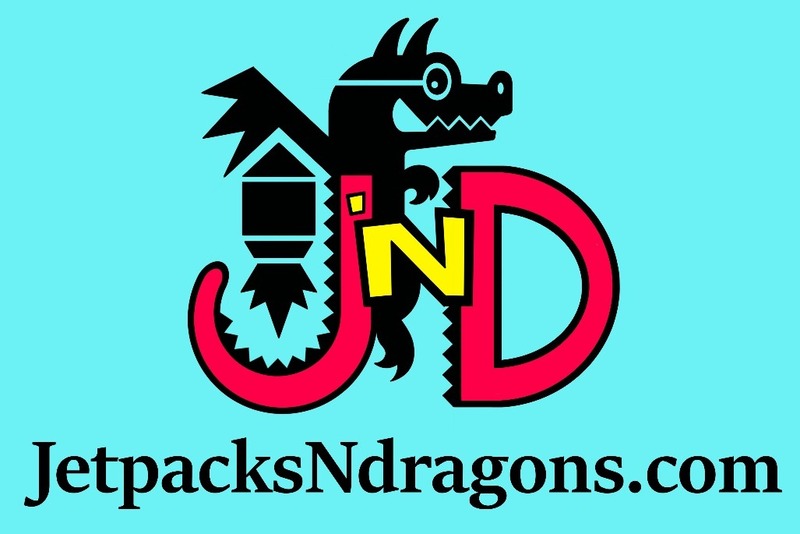 JetpacksNdragons.com is a small website with the goal to help creators share their content with the world. I believe that there are kids out there with tons of creativity to share, which is why we are hosting a creative writing contest for kids in grades 6-12. The goal is to compile short works of sci-fi and fantasy into an anthology. We are going to publish this anthology through KDP on Amazon.com. Please take some time to check out the contest page. If we raise no money we will still go through with publishing the book in kindle format and make the book free to all of the kids who entered. I don't believe that this is good enough. I would like to be able to publish print copies of the book to send to each of the students, their school libraries, and their families. If we raise more money than our goal the plan is to hire a professional fantasy author to write the forward. With enough money, we can make this happen. Please help show these talented kids what they can accomplish. Any support for this project is greatly appreciated. If you can't donate I totally get it but please at least take the time to click the facebook and twitter buttons to share this with your friends and followers. If you know any educators please send them a link to this as well so they can share this contest with their students. I think this will be a very cool opportunity for kids who enjoy reading and writing. I know I would have been beyond excited to see my name as an author on a book when I was younger. The other way you could help support us is through Patreon. With Patreon you can set up a subscription to read some of the entries before they are published. Thank you from the bottom of my heart for at least reading this far. You are appreciated! This is so exciting! We’ve now raised over 100 dollars in just 2 weeks! We have enough money to print and ship about 20 books now! Thanks to everyone who has shared this on social media. We still have roughly 6 months left until print day! Thank you thank you thank you! Just a quick update. We raised $100 dollars so far! Thank you Chris and Tarin for donating! And thank you to everyone that shares this campaign. If you share this with anyone please remind them to share it with their friends as well. We need the donations for sure, but we also need schools/kids to submit writing. It costs $0.89 plus $0.0012 per page for each printed book. So, 300 page book would cost $4.49 to print plus the cost to ship the books.